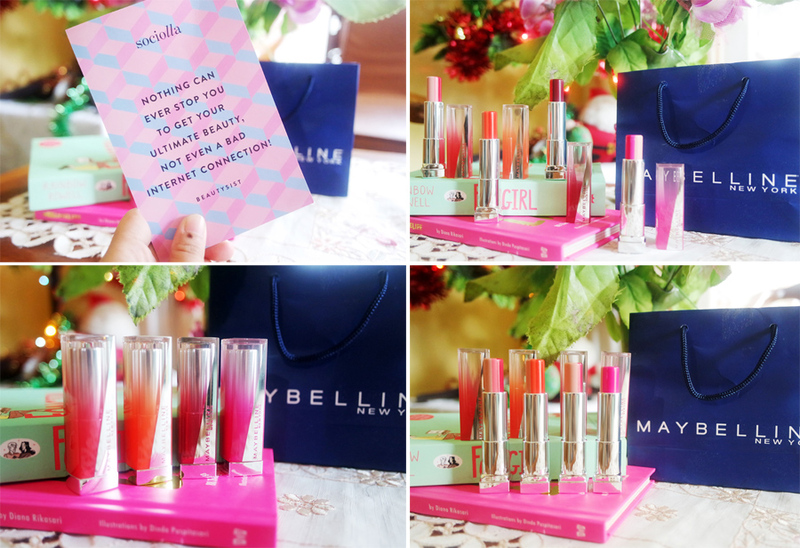 I’ve told you this many times, I’m obsessed with Korean makeup and gradient lips should be on point but it is really time consuming then one day I just got Maybelline Color Sensational Flush Bitten Lips, everything seems easier now (Maybelline really stepped up their game). By the way, I just got my delivery two days ago and I must say, I couldn't be happier and satisfied with Sociolla's service. 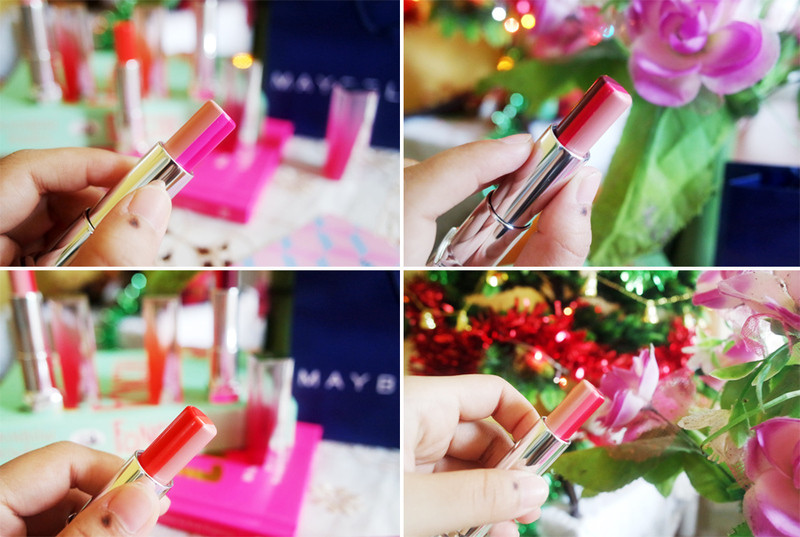 Maybelline Color Sensational Flush Bitten Lips is a three-tone lipstick that will help you achieve the Korean gradient lips in just one swipe (this is totally designed to easily create the Korean style just bitten lips, otherwise known as ombre/gradient lips). 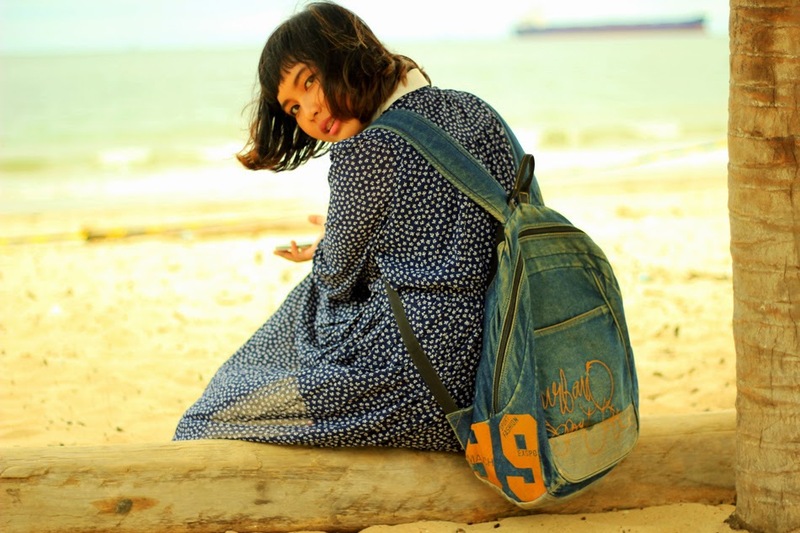 This product is very affordable (it costs only IDR 99.000). 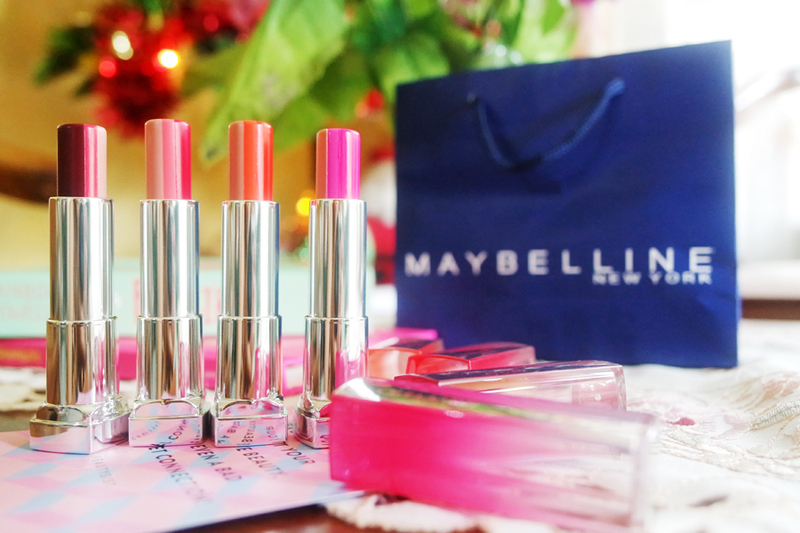 Thumbs up to Maybelline! 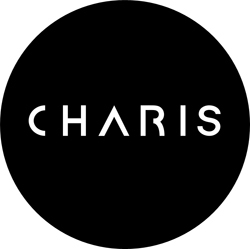 Each lipstick contains three colours: a concealing colour, a blending colour, and the main colour. From left to right : RD03 (Blackberry Cinnamon) - RD01 (Raspberry Smoothie) - OR01 (Sunset Sorbet) - PK01 (Strawberry Cheesecake). Believe me, I’m the one most excited for this product. 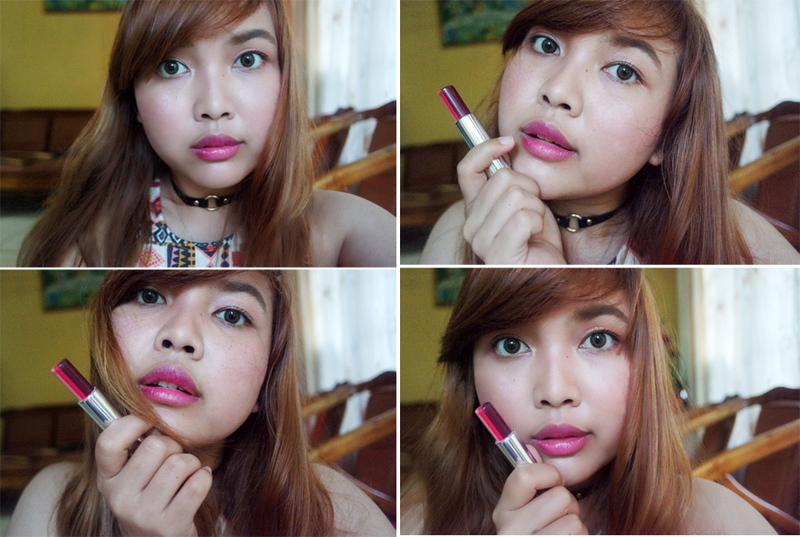 My blog has been around since 2011 and if you’ve been here with me, you’ll know how much I rave about Korean gradient lips since Day 1. - Ultra creamy formula provides 12 hours moisture, perfect if you need a break from matte lips. 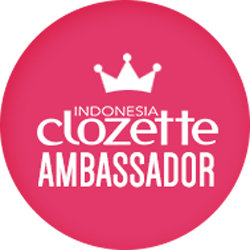 - A single swipe will give you an instant gradient/ombre lips without much effort. 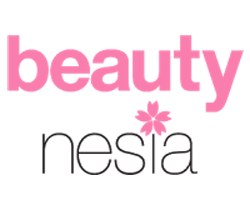 - It stays long enough (or longer if you are not a messy eater like me) and very pigmented. - It has cherry scent and taste. - Apply on your upper lip with darkest shade faced downwards. - Apply on your lower lip with darkest shade faced upwards. 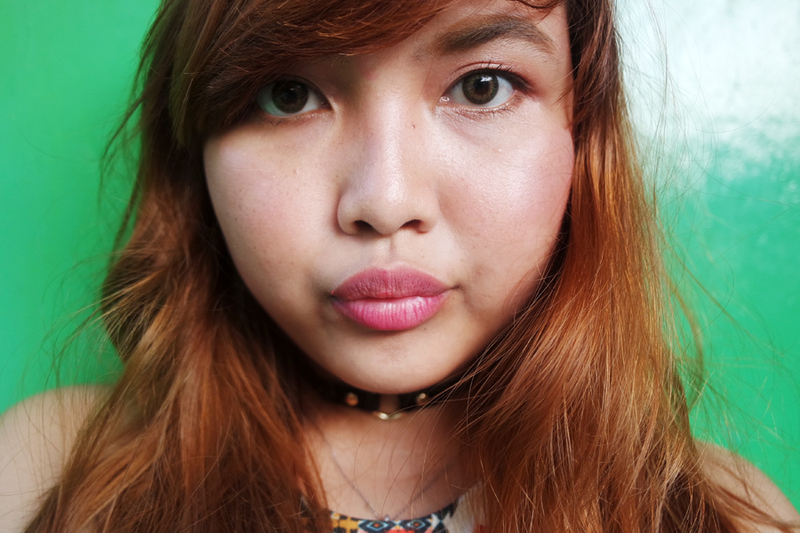 This time, I got inspired by @spotkryskhloe to do her signature natural "no-makeup" makeup. 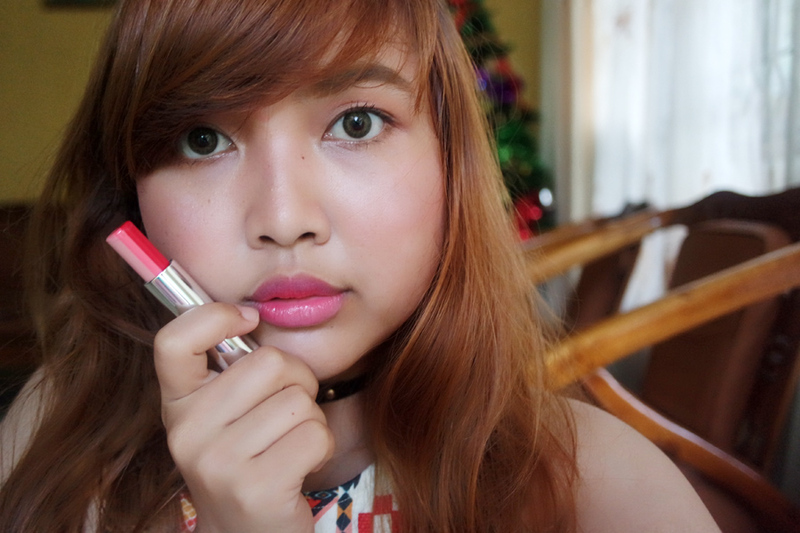 Back to topic, I can say this OR01 would be the most favorite lipstick of 2016 for me! One swipe of this is enough to achieve the just bitten look. 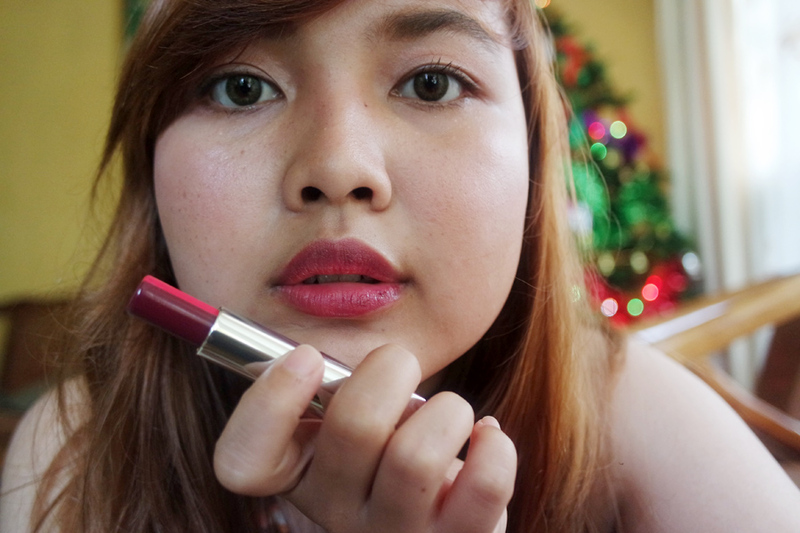 I really love the pop color-result from the lipstick, this shade suits my skin tone well. My beauty advice for you guys; when choosing colors, it's better seen on the lips than swatch them on the skin. 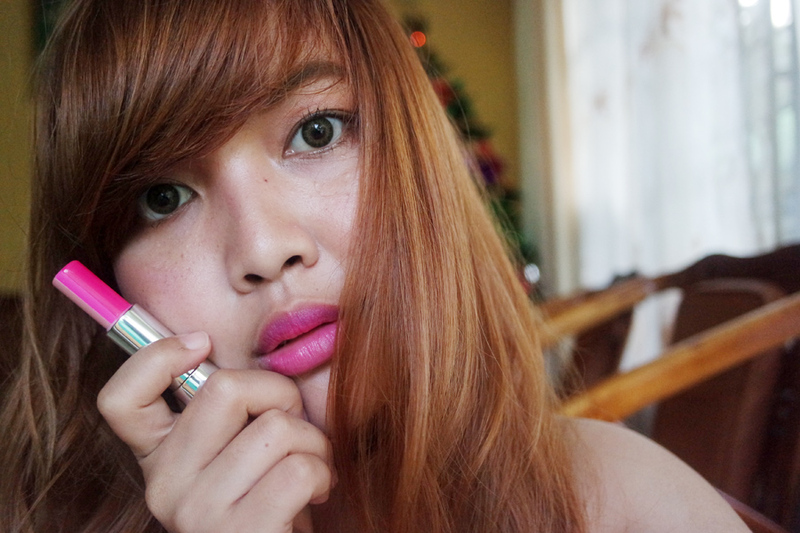 Trying RD01 on my lips, it really gives an instant fresh look that's great for everyday. I won't mind looking at my lips for hours. There’s no any harsh lines between the colors, it all blended out very smoothly. Move on to PK01, this one sets into the lips quite well so layering it up doesn’t feel greasy or heavy at all. It has a glossy finish too! I am also addicted to the scent!! It has fruit scent but not overpowering, the scent is fading after 10minutes wearing. The color is surprisingly buildable. I would categorize this as a tinted lip balm because it feels very much like a lip balm. 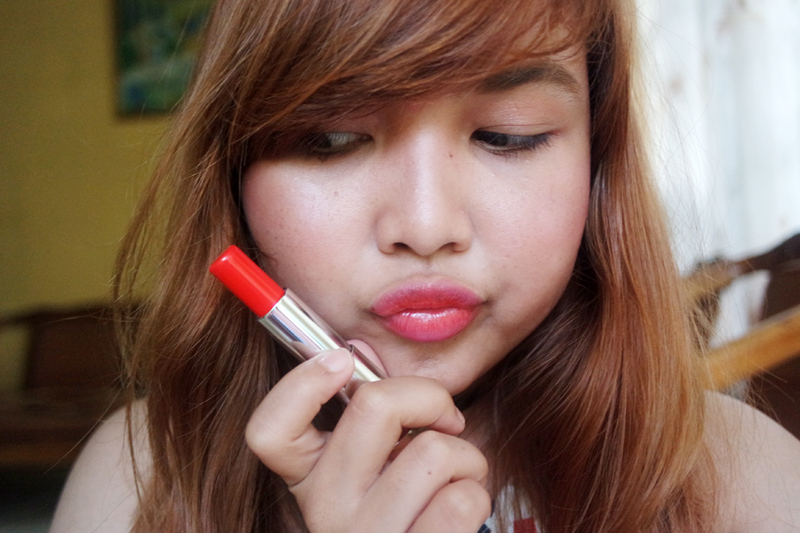 It's not drying on the lips so you can use this for daily wear! You can switch shades if you want lighter to darker or vice versa. Just like what I did when I was using RD03, I used it darker to lighter (from the edge). RD01 and RD03 are quite similar to me, I’m not sure if it’s just me, but I can’t really tell the difference. 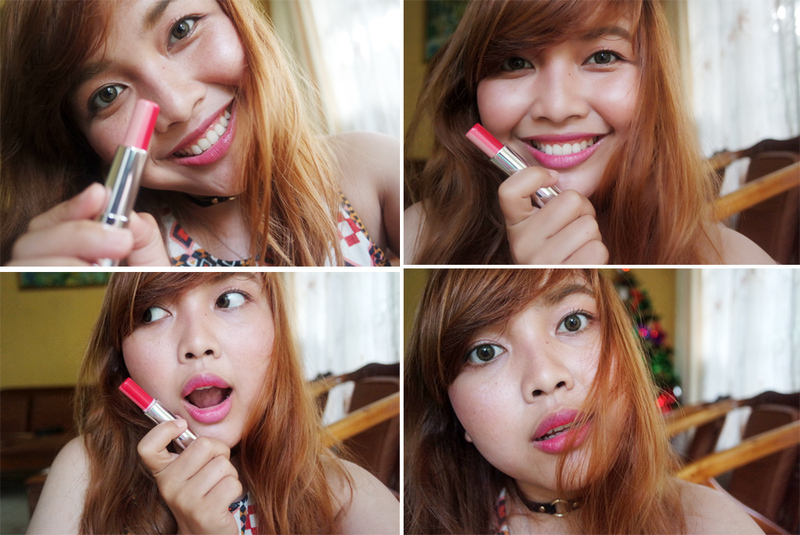 When wearing RD03, I did 2 swipes of it to get that vivid color I want. 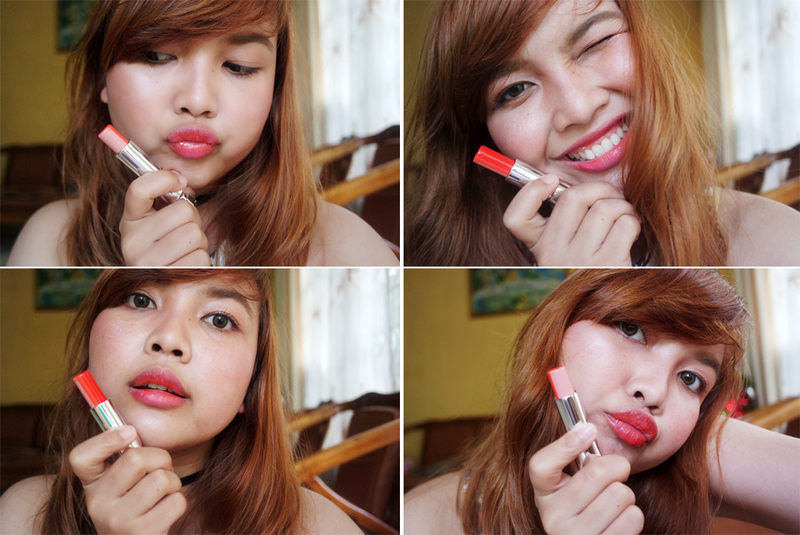 After experiencing with those four shades, I swipe my lips using wet tissue and yes my lips are still tinted with color. The more I apply, the heavier the stain gets. The only way to remove it completely is by using a makeup remover. 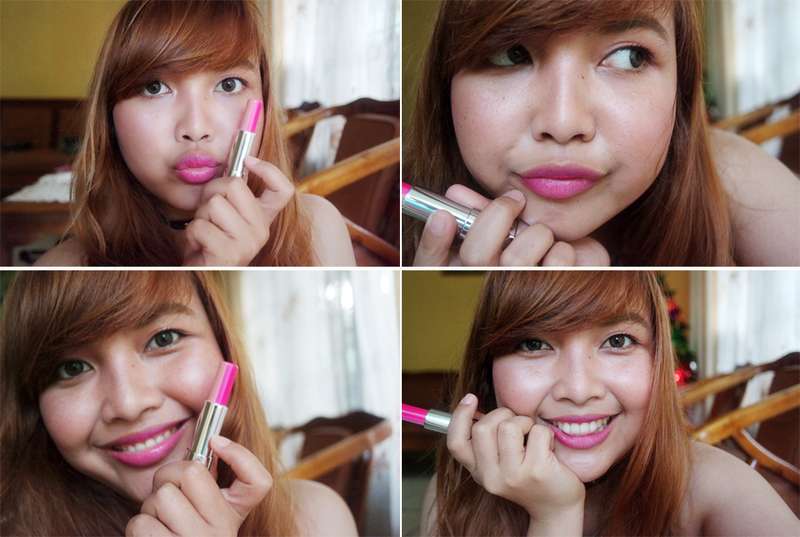 I can say that I freaking love it so much, it gives a perfect gradient effect on my lips. Great buy! I highly recommend you pick PK01 and RD01 because they look more noticeable on the lips.in my humble opinion, I love these lipsticks because they show up nicely on my lips and it took me by surprise as well because it has a very moisturizing. Most lipsticks with a formula like this won’t even last a minute! That's my honest review for you guys. So far I am very satisfied and will definitely re-purchase it again. For those who want to try out the Korean ombre lip trend or if you have dry lips and would like a nice lip color that feels like a lip balm, I say give these lipsticks a go! 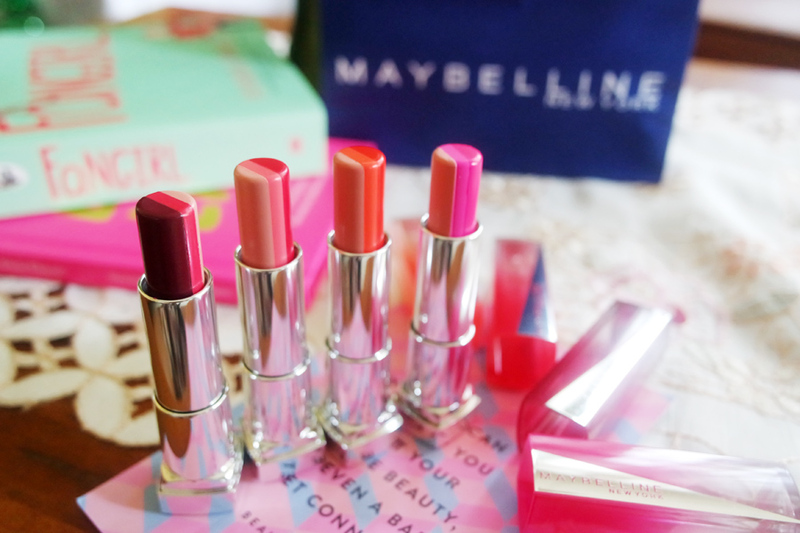 Have you tried these new lipsticks from Maybelline? gampang ya bikin ombre lips pake lipstik ini. shadenya cuma segitu aja ya? 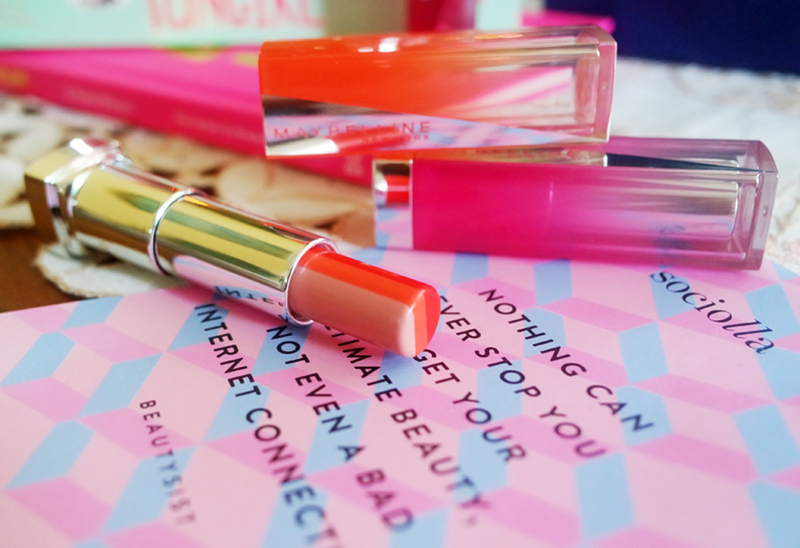 This lipstick sounds great - I love the ombre look! And the first two look very natural on you. Great post! Beautiful shades. Wishing you a happy and healthy New Year!!! oooh I really should try these!